Earlier, mosquitoes were slotted in the category of being a pest, a nuisance that one could get rid of using mosquito repellent. Today, however they are seen as carriers of death! 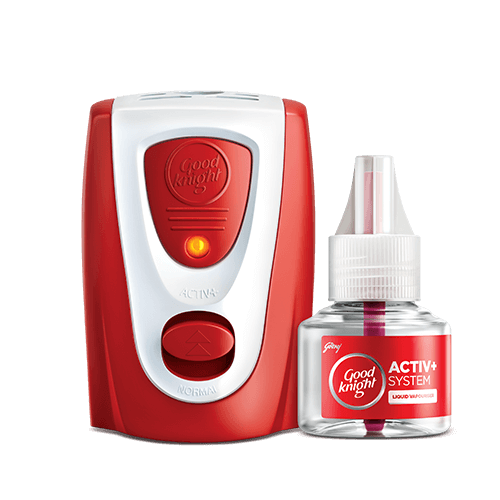 The increase in awareness about mosquitoes borne diseases has made us more vigilant, but sadly we don’t realize the importance of products such as repellents till diseases strike close at home. As any normal family, we used mosquito repellent machines at night in our bedrooms and assumed we were sufficiently protected against mosquito menace. However, it came as a rude shock when my in-laws were detected with Chikungunya. The whole episode left me scared and worried about protecting my family against diseases such as Dengue, Chikungunya and Malaria. The information about dengue mosquitoes being active in the daytime scared me even more. I realized just protecting my family at night is not enough! My in-laws go for walks in the morning and in the evenings. Children enjoy being outdoors and my husband travels for work. Everyone had different needs and I wanted a simple solution that provided all round protection. That’s when I came across the happiness protectors of my family – Good knight! They have a range of products that are suitable for various needs of my family. Following the ever increasing cases of Dengue and Chikungunya in Pune, I did a lot of reading to come up with solutions that will help my family lead a normal life, while being protected from mosquito borne diseases. Here are a few tips that we use in our family. I use mosquito repellant bands and patches when my children go out to school, play areas and their classes. 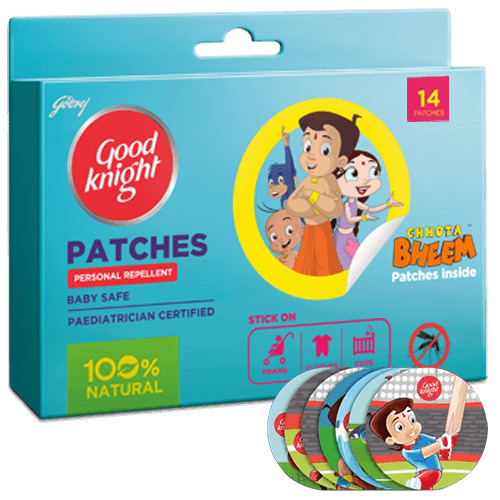 My children loved the patches as they were fun, did not have any repulsive odor nor were obstructive. I was happy that my children could play freely and I could send them without worry. When we host garden parties or have private get-together we use coils. I am not a big fan of Mosquito coils as have a toddler at home, but they are extremely useful when there is a power outage. I only choose low –smoke coils when needed. Keep your surroundings clean. Clean water too can be a breeding ground for mosquitoes. Make sure that there is no stagnant water around you. If you have water bodies near you, make sure that the water is changed regularly. Aedes aegypti mosquito can breed even in small amounts of water. Use mosquito nets and screens for your windows and doors. When going out, use personal protectors like roll-on, bands and patches. Use mosquito repellents, even during the day time. Clean the waters in air-conditioners or fridge at regular intervals. If you live in a society, ensure that there is regular fumigation done in the surrounding areas. Plant mosquito repellent plants like lemon grass in your terrace gardens. Some age-old wisdom that can be easily implemented is close all the doors and windows and burn camphor in the house. Camphor too acts as a natural mosquito repellent. Till disease came close, I was oblivious to the mosquito menace. These diseases are not something that one should take lightly as they can easily turn deadly. I chose protection over cure and certainly believe mosquito repellents are a necessity in today’s world. What are your thoughts? Do share in the comments below. Home is clean.Now the bext step is schools colleges and communities.Very helpful tips. That’s a great innovation and very much required for kids. Mosquito repellent is really very important, especially when kids are around. Thanks for the review. This is a very important topic, which is usually neglected. Thanks for sharing. Those good night patches are really effective. I always have them. We always use a liquidator in our home. I think its time that I get those mosquito repellent patches. They look safe for kids. There is enough worry in the world to add diseases too to the list. Always have believed in prevention is better than cure so mosquito repellant anyday. With changing season mostquitos find their way wherever we go. But with the tips you have mentioned, we can definitely control them. Whenever we travel to India during summer break, I use patches and bands. That’s such a useful tip and information. First step is our own house and then the roads. Most importantly the garbage place. Mosquito Repellents are like must have these days or we are risking the lives of our lives bed ones. Great article. I cannot agree more..there’s not a single day that we don’t use one.. Indeed mosquito repellent is utmost important given the fact that so many deadly diseases are spreading across the country. Very informative post. Mosquito repellent is necessary for kids protection. Great review. Thanks for sharing. Much needed post. Our home and surrounding has to be clean. It can make big difference. This is a very useful post. And thanks for doing the analysis and sharing with us. Nowadays I am scared of mosquitoes as you rightly said that they are nowadays carrier of death. Thanks for sharing these tips . Keeping our environment clean is really important. Mosquito repellent helps us to be safe than feel sorry about things later. Some real great tips ..thanks for sharing . I have always been a bit wary about using these mosquito repellents. This reviews helps clear a few worries.